Location: Way up in N. Ill.
Nice to see new posters coming out of the woodwork now. Very reminiscent of the '03 and '05 seasons when board chatter spiked. Great to have everyone along for the ride and hope you guys stick around through any "not-so-fun" years! 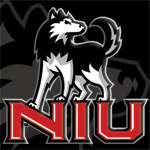 I have been a Huskie Football fan since I started at NIU in 1996 ( those were some tough years) I graduated in 2000 with a BS in Mechanical Engineering and in 2004 with a MS in Mechanical Engineering. I make it back to DeKalb for at least one/two games a season and either watch (when on TV) or listen to all of the other games on my iphone. Welcome cosine! Good to have you on the board. Jump right in and add your thoughts to the posts. And BTW - glad you're getting your kids into Huskie football. It's never too soon to start our kids on our "addiction"! I am a long time reader of the Board and graduated from NIU in '05. I got hooked on NIU sports through a combination of my father (NIU '74) and my fraternity (booo! hiss!). I am a season football ticket holder, along with my dad. My greatest claim to fame is as Design Manager while at the Northern Star. I am responsible for the poster fronts of the Star when we beat Maryland (greatest game of my life) and Alabama. That 2003 season was phenomenal. The electricity that was in Huskie stadium, the road trip from hell to Alabama and the crushing defeat on all of those Crimson Tide fans faces as we left Bobby Bouche stadium (I know I know Bear Bryant) help solidify my commitment to NIU Football. My wife realizes and acknowledges my problem and hopes that I find the support I need here on the message boards. Great Hire today... Loved what he said about recruiting WISC recruits that wouldn't play there..
Hey Carter, welcome to the board. Glad you found it and decided to add to the posts. it's growing on me. I for sure like Done With You better. The lyric in vowels "Like crack cocaine I'll rock ya" is quite clever though. My first game was opening day against Western in 99. I went to all but 1 home game from the 99-04 seasons. I was MIA after HC in 05 till this years Toledo game and I felt bad so I donated this year to HASF. I have been to away games at CMU 03, Toledo 03, NU 05 and Detroit 10. Sadly only one of those games were won. I was on of the stupid students that took the field in 99 to take down the goal post while the game was still being played. I have some good pictures though! I swear on my first born son I was the one that started making an X with the Thundersticks in 02 against BGSU. I did this because people were banging them when the offense was on the field. One guy yelled at me for trying to put a hex on NIU but I think people caught on as it was standard to see this in 03 and 04. I was proud to see this at the Toledo game this year. I still have that first ever set of NIU thunder sticks along with may others. I was the "fan of the game" for the Iowa State game in 03 and received a big stack of coupons to get Culvers for a year then I proceeded to share my prize with my fellow dog pound faithful. When I first started at NIU I knew nothing of college football. When I left I was huge NIU/mid major college football fan. This year I have gotten into understanding the business side of college football (media exposure, fundraising, recruiting and coaching) and what I can do to help the Huskies. I think of how NIU could be the next BSU but realize that the team needs our help to do it. Attendance home & away, donations and forums like this. I think groups like this can help the team, athletics and the university as a whole if we can work together. Nice first post John. Please contribute to the actual board where well thought out commentary is always appreciated. There are some posters on here who continually post the same nonsense and simply try to get a rise out of people...you'll figure out who they are pretty quick if you don't know already. Welcome to the Board John, nice post. Hey, thought i'd introduce myself, long time lurker who hasn't posted before. My name is Tim I attended NIU after transferring from Ole Miss (big difference in weather) and have had the privileged of seeing two of the best college football players of the 2000's as a home fan in the home stadium (Eli Manning and Garrett Wolfe). I consider myself a huskie fan and have rooted for them the past 6 years (since i started at NIU). I am now finishing my graduate work at U Akron (loved the beat down on their homecoming this year...), and i work in Politics. Hey everyone, long time reader first time poster today. Im currently a communications major at NIU graduating in May. Huge football fan and hopefully I can add to some of the discussions on this board. Welcome aboard...unfortunately there will probably be some horrible threads in the next few months. Don't take them too seriously and then there will be a small amount of good, informative discussion during spring ball. (02-02-2011 02:57 PM)NIU_BMS2011 Wrote: Hey everyone, long time reader first time poster today. Im currently a communications major at NIU graduating in May. Huge football fan and hopefully I can add to some of the discussions on this board. I am new on here. I found this link on Red and Black Attack and began reading all the stuff. RABA has not been posted anything in a while and i needed some NIU football talk. Glad to be here and can not wait to start talkin NIU sports. I started going to NIU in '09 and fell in love with NIU Football there is nothin better than an NIU Football game.